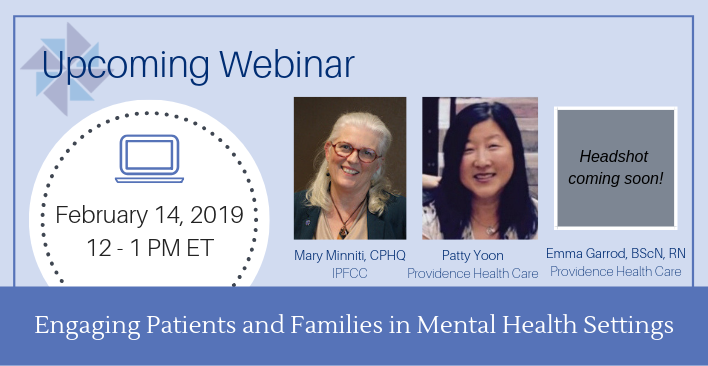 This webinar will highlight how to implement patient- and family-centered care in various mental health settings. Ways to engage people in the direct care experience and as quality improvement partners will be showcased including addressing the Opioid Epidemic. Practical tools and tips that help others build strong partnerships with those receiving mental health services and their families will be shared. Login: Login instructions will be sent to registrants the day before the webinar!